Clay is a great material to work with, it can be different, and you can make a lot of things – from a necklace to a planter. 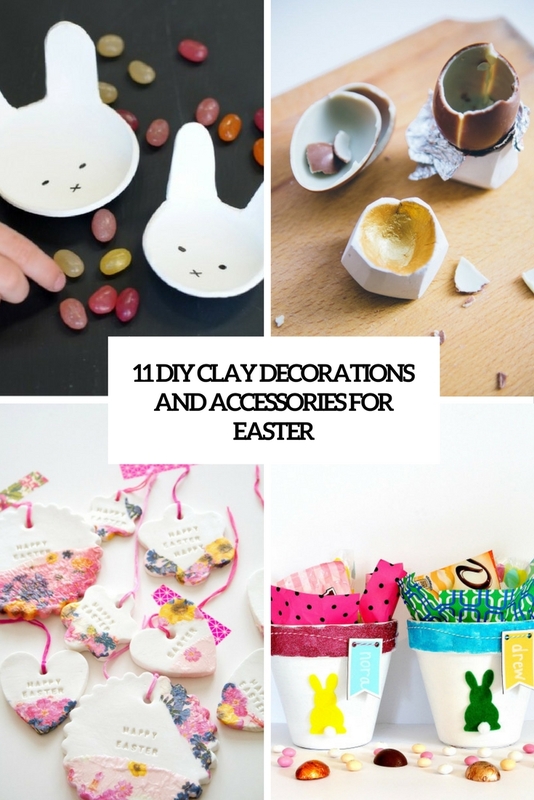 Today I’d like to share some cool crafts for Easter that can be realized of clay – polymer, air dry, oven bake and so on. 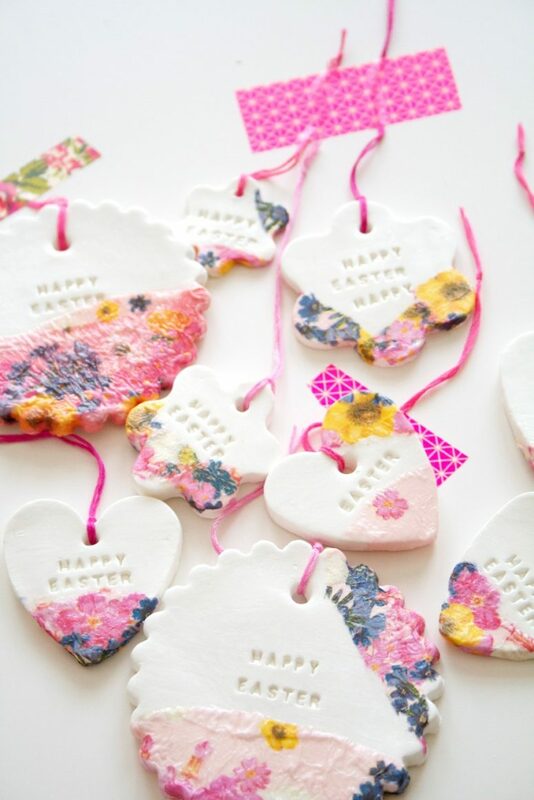 This DIY clay Easter bunting is so simple to make using just two ingredients and makes perfect DIY clay decorations. 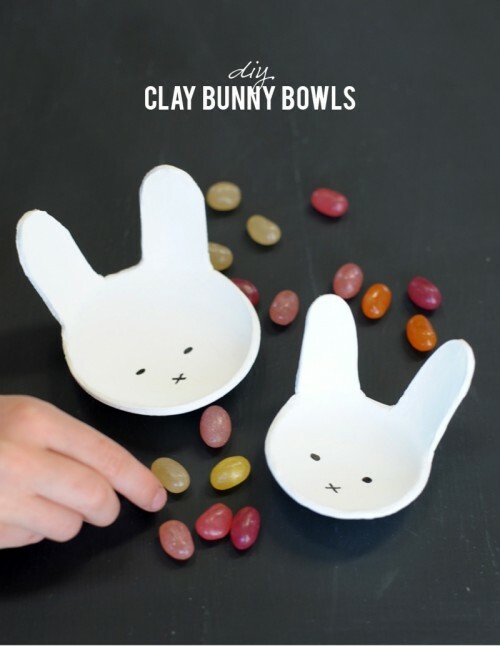 I love this two ingredient DIY clay recipe as you can draw on it with felt tips or sharpies making it great for kids of all ages. This DIY clay dough is a similar consistency to fondant icing and really lovely to use. It is air drying and produces a bright white clay that is really great to mound and use. Learn how to make fabulous DIY clay ornaments for individual gift wrapping or decoration. They are really easy to make and you can be super creative and individual with them, since there is no right or wrong. 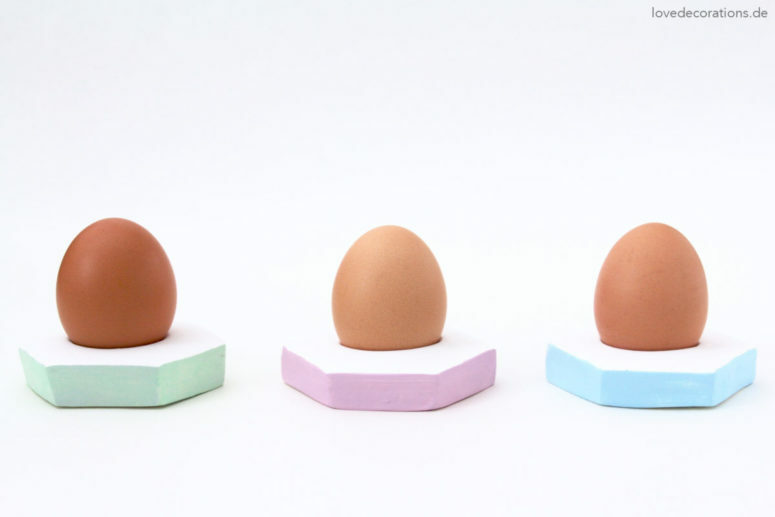 A DIY clay egg carton is a great piece to display your Easter eggs, and you can decorate it however you like. After Easter you can also use this piece as a jewelry holder or a catch-all tray. Egg cups and holders are necessary for every Easter, so make these cool geometric ones of clay and paint them pastel colors. The shape is up to you, and you can cover them completely or partially, read the tutorial to make them. We all decorate Christmas trees and what about Easter trees? 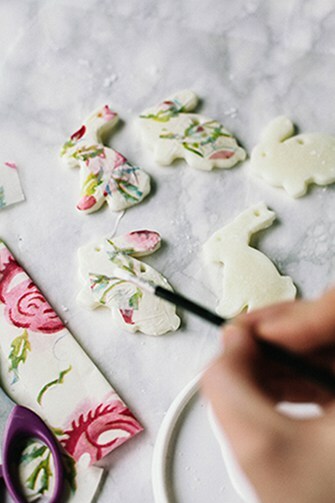 Make your own Easter trees using various branches and ornaments, for example, cool clay bunny ornaments. These are floral ones, and you’ll get a spring and Easter feel in one. One more idea for Easter egg cups! Make these round cuties and paint them pastels or choose some other shades, it’s up to you. Pastels are truly spring shades but if you want something bolder, it’s not a problem. Everything that’s faceted is cool these days, isn’t it? 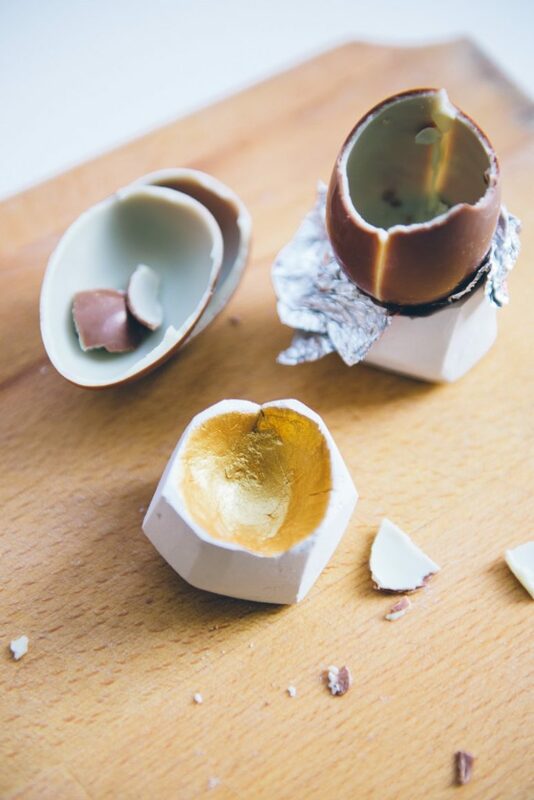 These crazy faceted Easter egg cups with shiny gold décor is a super cool modern idea, it will bring a modern touch to your Easter table setting, get inspired! 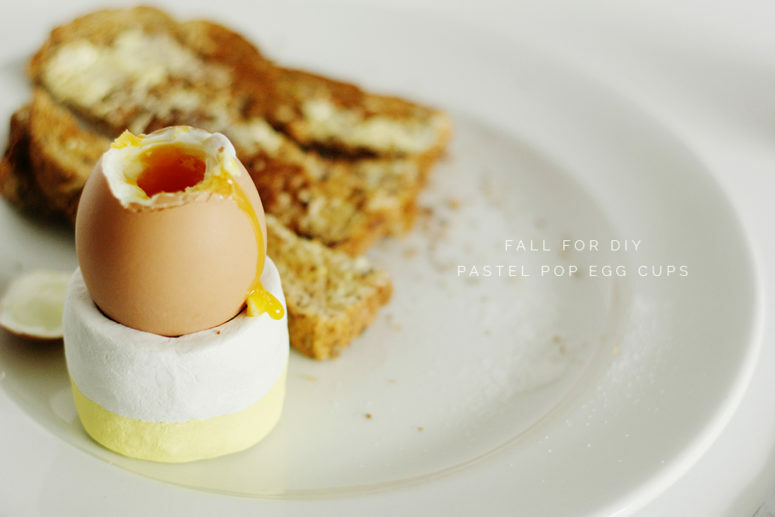 If you want eye-catchy egg décor, you needn’t paint or decoupage, there’s an easier and faster way. 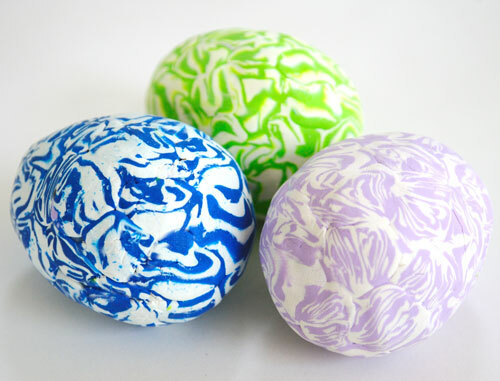 you can take bold polymer clay and cover faux eggs with it, so these eggs will be a nice and bold display. 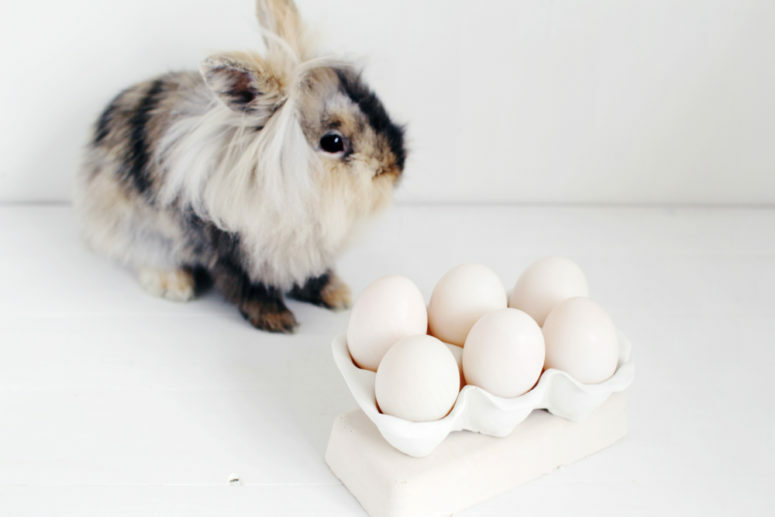 If you need cool and simple Easter gifts, there’s a pretty idea for you! Make these simple pots with sweets. 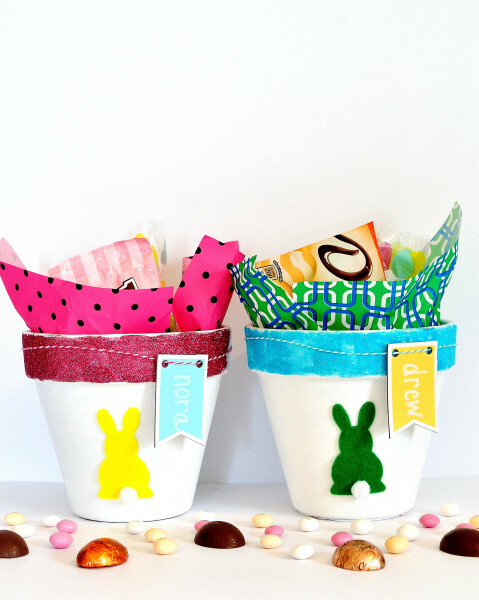 Take clay pots and paint them with Easter motifs, and then out Easter sweets inside. This tutorial includes a recipe of sweets to make yourself, enjoy! 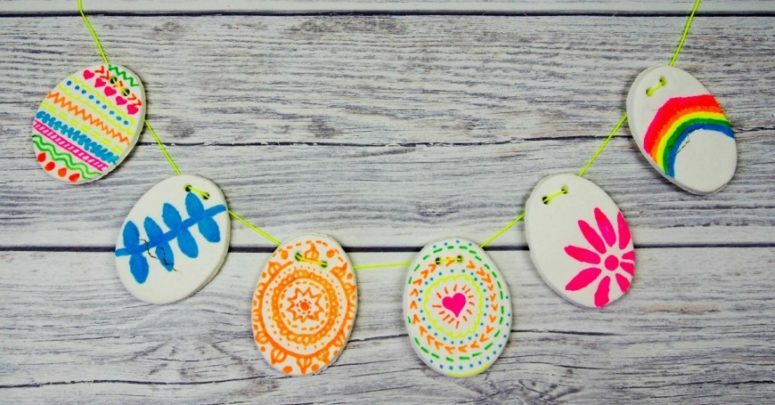 Easter is not far, so it’s time to make some decorations for your home to celebrate the holiday at its best. Bunny-shaped candy bows are great for displaying sweets or even eggs, and after the holiday they may work as jewelry trays. 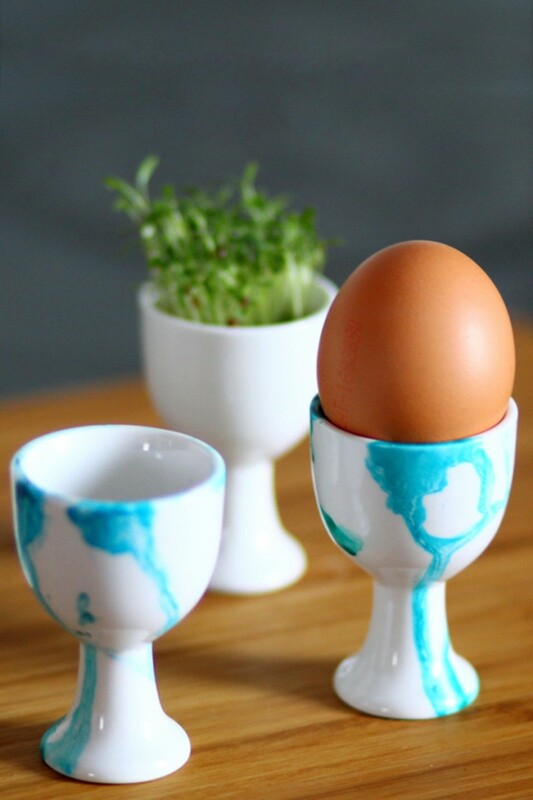 Clay egg holders can be decorated with watercolor patterns, like here, for a modern eye-catchy look. Take turquoise shades like in the tutorial or rock some others, you can also create your own adorable patterns, go wild!